NextIs There Such a Thing as Physical Signs of Alzheimer’s? If So, What Are They? Detoxing from drug or alcohol addiction isn’t easy but as part of any recovery plan, the decision to stop using is the first step. Immediately afterwards, the next course of action is to detox. For many addicts, this is a scary proposition. They want to stop but are afraid of withdrawing and do not know what to expect. This is why it’s important that patients learn a bit of information about inpatient and outpatient rehab. Continue reading to learn about inpatient rehab and outpatient rehab, their differences, benefits and cons. Regardless of addiction type, all inpatient detox efforts are done inside of a facility. The detox can be done in one of two ways; medical detox and medically assisted detox. For medical detox, doctors can administer medication in order to make the symptoms of withdrawal safer as well as more tolerable. Medically assisted detox means that medical professionals are hands-on, so they can properly and effectively monitor any dangerous symptoms that may occur. In the event that medication is needed, they can safely administer to minimize withdraw symptoms. 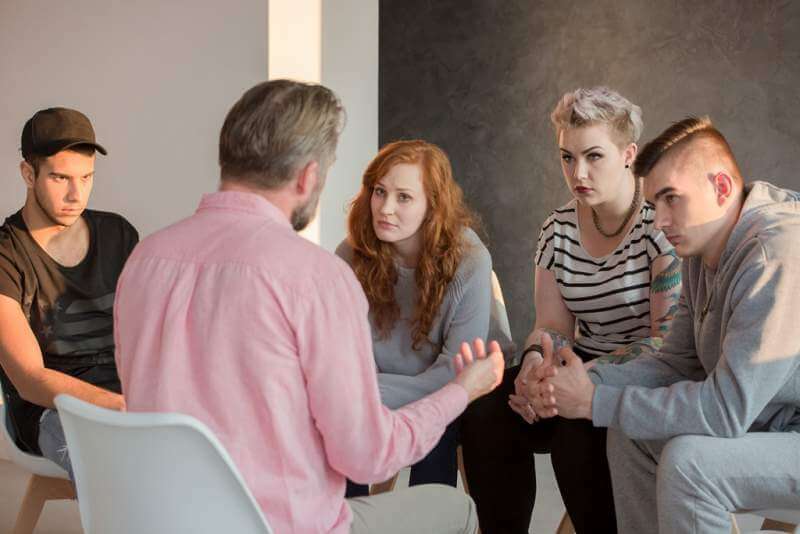 There are two reasons why people go to inpatient alcohol rehab; people who have been abusing alcohol to the point that it’s endangering their life, possibly causing strife in the home or causing problems in the workplace. Other types of patients who choose to detox inside a rehab usually have trouble controlling impulsive behavior, which leads to substance abuse. It’s then in their best interest to complete detox in an environment that takes them out of where they usually abused the substance or choice and provide a safe haven. In turn, patients are able to focus on their recovery without having to manage urges to use, only to fall back into old habits. In addition to having medical care, some facilities may have swimming in pools, daily art classes and meditation combined with yoga, all of which teach you how to manage stress more effectively. Daily individual and group therapy sessions also increase the likelihood of staying clean as building an internal support system also build trust. The experience of inpatient rehab may seem a bit frightening at first, but it’s in the interest of those who cannot stop while living outside the rehab. The whole point of inpatient rehab is to help you find relief from the pressures of life and getting better in a peaceful environment. A common misconception among people is that once you’ve completed inpatient rehab, you can go on as if nothing happened. However, this isn’t true as most people who leave inpatient rehab struggle with temptations the minute they arrive home. This is why it’s essential that you have friends and family involved with your rehab, especially if you choose to keep going to inpatient rehab. Another con with inpatient rehab is the cost. Inpatient alcohol rehab is usually more expensive than outpatient treatment. However, as long as you have insurance, you should have coverage for the length of your stay. In fact, many inpatient rehab centres offer payment plans for people uninsured. In this manner, you are still able to get the help you need immediately while paying in monthly increments. As the name implies, outpatient detox happens outside of a rehab facility. Of course, patients must go to a rehab centre every day for medication and monitoring. On a side note, some facilities may not require you to come in on the weekends. The first session you have in the facility typically lasts up to two hours. During these two hours, the doctor will perform a physical exam and start your treatment. After the first session, you will be required to go to your follow-up sessions from then on. Each follow-up session lasts for half an hour. It’ll take approximately six and a half days to complete the outpatient detox, however, it may range from three to 14 days depending on the severity of your problem and condition of your body. The greatest benefit of outpatient therapy is the ability to keep living at home and continuing your responsibilities of daily living. You have a lot more freedom in your life with outpatient treatment than you would with inpatient. Not to mention, it’s less expensive than an inpatient rehab centre. Just like with inpatient rehab, you can count on the support of your family and friends to help you throughout the process. Lastly, outpatient rehab is not for everyone. For instance, heavy drinkers are more susceptible to withdrawal symptoms such as delirium tremens, which can be fatal if not treated in a medical facility. This is why it’s crucial to be open and honest with the doctor about your drinking habits, so they can determine your risk. After a long period of substance abuse, withdraw symptoms can be unpleasant, so much so that they sometimes act as a deterrent to getting clean. However, the alternatives are always worse than not trying to stop the abuse. What many users don’t know is that there many things that can be done to make the detox process bearable. Even severe detox does not need to be an ordeal. With proper planning and the help of clinical professionals, it is possible to manage to withdraw symptoms and start your journey on the road to recovery. Before making a final decision, it’s important to find out as much as possible about both inpatient and outpatient treatment. Depending on the severity of your condition, the choice of which form of rehab to go to is ultimately yours. There is a lot of knowledge to be had about these two forms of rehab, so be sure to research further to learn more. Is There Such a Thing as Physical Signs of Alzheimer’s? If So, What Are They?